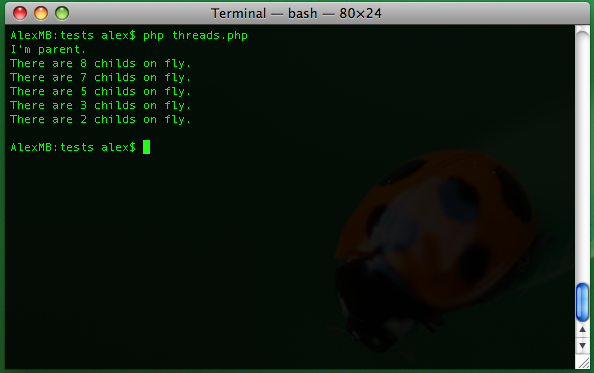 This class can be used to create parallel processes with the PHP CLI program. It can start parallel processes by running the PHP CLI program in the background for each new process. The new process is set to run a given PHP script. Variable values are passed to the new process using temporary files. Prize: One book of choice by O'Reilly In PHP you can use the pcntl extension to create parallel processes that run multiple PHP tasks simultaneously. However, when available, the pcntl extension only runs under UNIX/Linux systems. This class provides an alternative to run parallel processes in PHP without depending on the pcntl extension. It uses the PHP CLI program to start new parallel processes. Alex Snet write all his minds in personal blog.